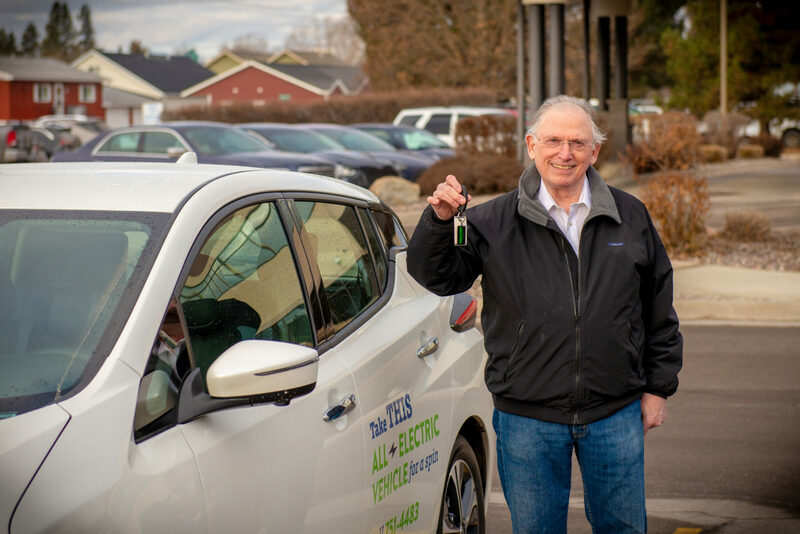 Flathead Electric Co-op’s Nissan Leaf was taken out for its maiden “EV Experience” voyage this week by longtime member Huston Finke, and in his words, “it was amazing!” Huston and his wife Anne had the car for the day. They ran errands, attended appointments, and tried to use it like they would their own car. They reported that the Leaf was comfortable and fun to drive. Flathead Electric’s EV Experience offers Co-op members the opportunity to borrow FEC’s all-electric Nissan Leaf to see what it’s like to drive an electric vehicle (EV). So, who’s next? Did you ever wonder if an electric vehicle would fit in to your daily life? If you’re a Flathead Electric member and you’d like to borrow our Leaf and experience life with an EV, sign up for the EV Experience today.